The City of Social Circle Fire Department is gearing up to for their annual Secret Santa program and they need your help! You can help by donating cash (checks payable to Social Circle Secret Santa), donating new toys or volunteering to help stuff Santa’s sacks to prepare for delivery. Monetary donations can be dropped off at the Fire Department or at Pinnacle Bank. Donations of new toys may be dropped off at any time all year long at the Social Circle Fire Department. The Social Circle City Council recognized Fire Chief Ken Zaydel for his election as Secretary/Treasurer of the statewide Georgia Association of Fire Chiefs (GFAC). 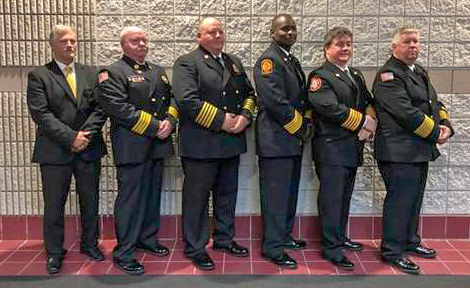 The election took place last Saturday at the 2018 Georgia Fire Service Conference held in Dalton, Georgia. Chief Zaydel had served as one of the nine District Vice Presidents before running for the executive committee. Chief Zaydel has served as the Fire Chief for the City of Social Circle since November of 2012. Dating back to 1952 and based in GMA’s Atlanta office, GAFC works to advance fire services in Georgia and represents more than 800 chief fire officers statewide. Walton County has launched a mass notification service that will alert you to potential safety hazards or concerns, such as severe weather, tornadoes, unexpected road closures, missing persons and evacuations of buildings or neighborhoods. You can choose which alerts you want to receive and whether to receive alerts via calls to your home, mobile or business phones, or messages by email address or text messages. There is no charge for this service and you can opt out at any time. 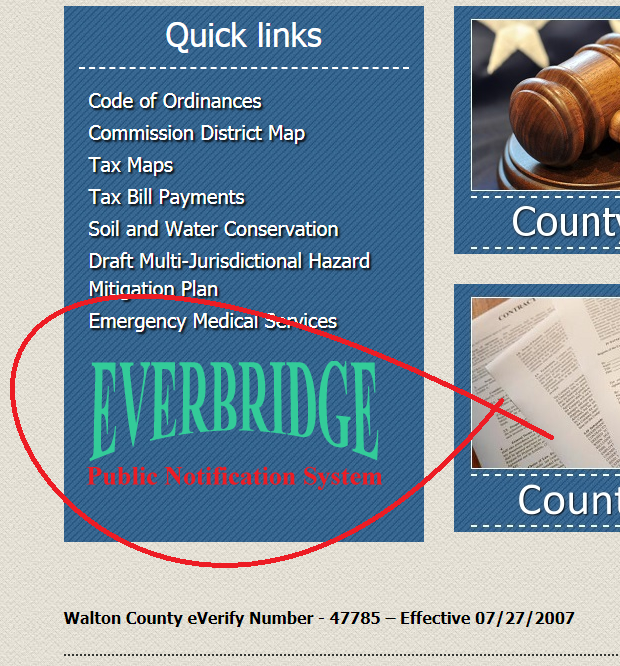 To sign up, go to http://www.waltoncountyga.gov, scroll down and click on the EVERBRIDGE logo in the Quick links box. This recall involves two styles of Kidde fire extinguishers: plastic handle fire extinguishers and push-button Pindicator fire extinguishers. The fire extinguishers can become clogged or require excessive force to discharge and can fail to activate during a fire emergency. In addition, the nozzle can detach with enough force to pose an impact hazard. 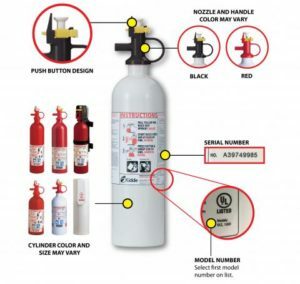 Consumers should immediately contact Kidde to request a free replacement fire extinguisher and for instructions on returning the recalled unit, as it may not work properly in a fire emergency. The fire extinguishers involved were sold by Menards, Montgomery Ward, Sears, The Home Depot, Walmart and other department, home and hardware stores nationwide, and online at Amazon.com, ShopKidde.com and other online retailers for between $12 and $50 and for about $200 for model XL 5MR. These fire extinguishers were also sold with commercial trucks, recreational vehicles, personal watercraft and boats. 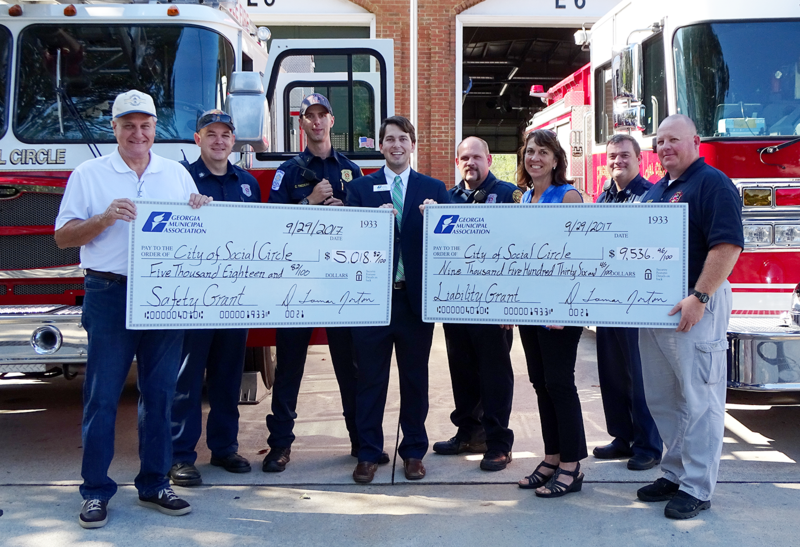 The Georgia Municipal Association (GMA) awarded the City of Social Circle Fire Department two grants totaling more than $14,000. The grant funds will be spent on turn-out gear for the fire department and emergency warning devices. The summer ban on outdoor burning will end Saturday, September 30 in 54 Georgia counties, primarily in the northern half of the state. The Georgia Environmental Protection Division sets the restrictions annually, from May 1 to the end of September, to reduce emissions from ground level ozone that may jeopardize air quality. Burn permits issued by the Georgia Forestry Commission are required for any outdoor burning in the state to help prevent wildfires and problems generated by smoke. “The GFC will resume issuing burn permits as conditions allow, on a day to day basis,” said Frank Sorrells, Chief of Protection for the Georgia Forestry Commission. Fire danger and smoke management considerations will be taken into account for counties that have been under the EPD burn ban since May 1, as it is in all Georgia locations, Sorrells said. The GFC recognizes the importance of prescribed burning for its many wildfire prevention and forest management benefits, and safety remains the top priority for those burns as well. “We’re asking everyone to be extra cautious when doing any open burning, especially in the wake of Hurricane/Tropical Storm Irma, which left behind a lot of downed trees and vegetative debris,” said Sorrells. “Escaped debris burns remain the number one cause of wildfires in our state, and it may be necessary and wise to delay or postpone open burning if local conditions are unfavorable.” Sorrells said tools such as a shovel, water, and cell phone should always be on hand, that fires should never be left unattended, and a 911 call is always prudent when flames escape. For specific information about conducting open burning, permitting requirements, and current fire conditions in your area, contact your county’s GFC office or visit GaTrees.org. 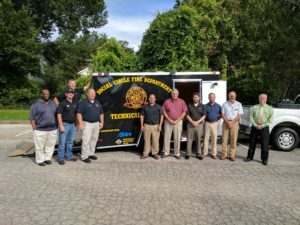 Shire and the Social Circle Fire Department have formed a partnership that’s providing safety support for Shire’s operations while providing the fire department with tens of thousands of dollars of specialized training and equipment that will have broader impact across the community. 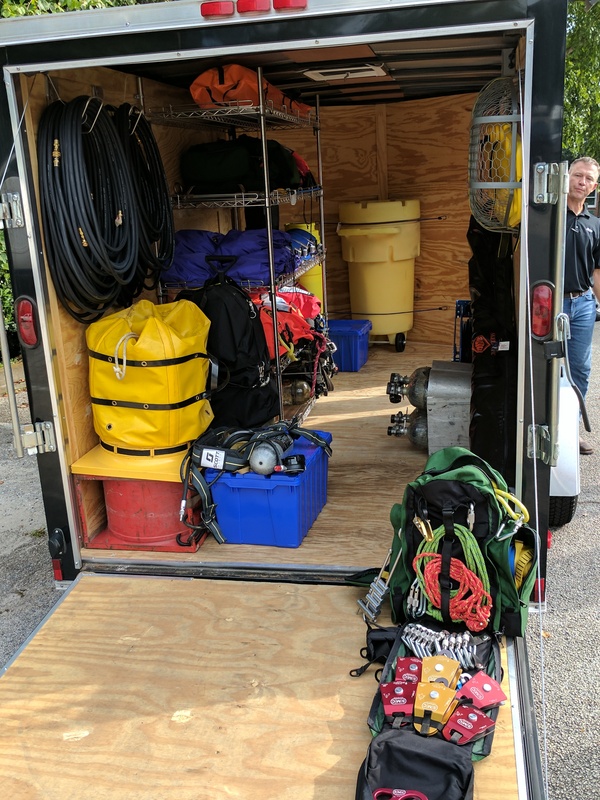 The two organizations are participating in joint hazmat (hazardous materials) and confined space entry training programs that are providing needed skillsets to Shire employees and Social Circle firefighters. The confined space entry, referred to more generally as technical rescue, training in particular is a rare skillset that’s generally only found in major metro fire departments. “We found an opportunity to improve the rescue portion of our confined space entry program. In Los Angeles, there’s a fire station three blocks away from our facility with technical rescue capabilities. We didn’t have that here,” said Jeffry Carter, who specializes in emergency response with Shire’s Environmental, Health and Safety (EHS) department at the Georgia facility. Shire has dozens of large vessels that are used in its manufacturing process, and while employees don’t commonly enter these vessels, they are required to do so periodically. Safety protocols stipulate rescue personnel should be on hand whenever a confined space entry is made by an employee. A former firefighter and paramedic, Carter said he’s only seen this type of joint partnership at one other company in his career. Before this training, the nearest department with technical rescue capabilities was in DeKalb County. The training is being led by Eddie Sisco, who offers the specialized training through his Alabama-based company, Emergency Response Services. He has a specially designed rig and equipment that allows him to simulate various confined space entry scenarios. While industries are a common client, Sisco said he’s seen numerous situations in communities where firefighters and others have had to use technical training to rescue people, whether it’s a contractor falling into a water tank during sandblasting or tourists and residents getting trapped while exploring caves. He agreed that it’s pretty rare to see these type of public-private partnerships, but he’s encouraged by it. The training consists of lots of rope work, including tying different kinds of knots and using pulley systems to create a mechanical advantage to safely lower and lift people out of small entry areas and move them horizontally through spaces, as well as proper harnessing and learning how to safely move an incapacitated person. Air monitoring is also a critical skill as rescue personnel need to understand the environment they’re entering as it could contain dangerous levels of chemicals. Zaydel said his team already had some rope training, but this more advanced training takes the department’s capabilities to a whole new level. Some local,practical examples of confined space entry are when Georgia Power employees enter confined space vaults in the city and when public works employees work in manholes, stormwater drains and pits at the water plant. Firefighters will also be able to earn some additional money by using their expertise for side jobs. 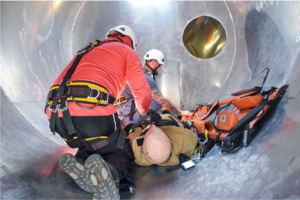 For example, Shire will hire firefighters to be on standby for confined space rescue whenever the plant has a shutdown – a scheduled period where manufacturing stops and regular maintenance is performed throughout the plant. For Shire, the training is another piece of the puzzle for the company’s Emergency Response Team, a cross-functional team of employees who are receiving in-depth training on confined space rescue, hazmat, CPR/First Aid and other skills and are ready to respond to any event that could happen at the facility. The City will be conducting audible testing of the emergency response sirens at 10:00 am on the first Wednesday of every month. The alarms will sound and then announce that it is a test. The tests will not happen if there is possibility of bad weather to avoid confusion. The fire department will only activate the tornado sirens if an immediate threat exists to the City or South Walton County. Tornado warnings normally occur with little or no warning. If you hear the tornado sirens during a storm take shelter immediately. 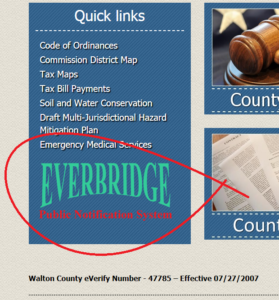 Citizens are also encouraged to sign up for the Everbridge Public Notification System on the Walton County Government website. (https://member.everbridge.net/index/453003085611716#/login) This system allows you to receive emergency warning messages via cell phone, email, and home phone. 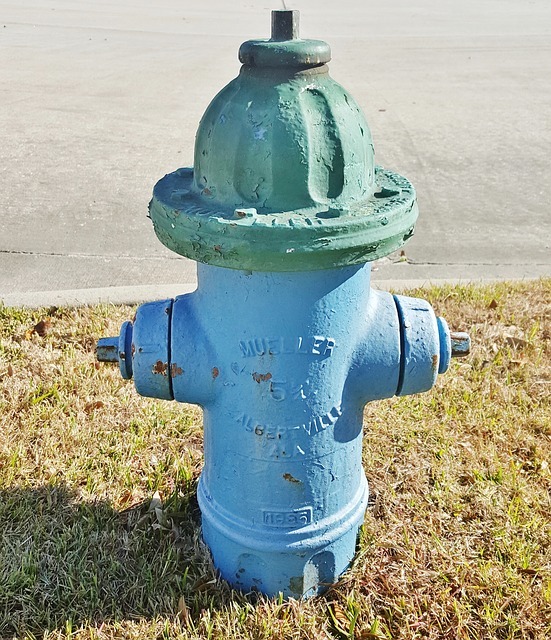 The fire department will be testing the following fire hydrants today (5/2/17). The water may be cloudy or discolored after they have finished. Let the water run for a few minutes and it will clear up.